The following sections gives information on general AIRnet products and not specific to AIRnet Threaded Reducing Tee. AIRnet is a compressed air piping system that delivers quality air exactly where you need it, from compressor to the point of use. Low friction and seamless connections of AIRnet minimize pressure drop thus effectively reduce the cost of ownership of your piping system. Thanks to a smart design and low weight materials, AIRnet can be installed 70% faster than conventional systems. 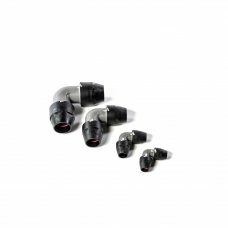 AIRnet equal union and fittings are assembled in just a few steps by a single installer, without the need for heavy machinery. One person can safely handle and install AIRnet. While solid and robust, aluminum AIRnet pipes weigh five times less than galvanized pipes.  AIRnet is installed with simple tools. No welding, gluing or crimping is required. Welding or lathe machines are a burden of the past. 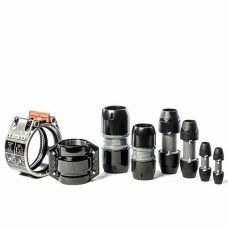  AIRnet offers a full scope of materials including pipes, fittings and accessories. EASY DOES IT! Connect AIRnet to a threaded system with the innovative Adaptor Union Nut. AIRnet PF series is the first in the industry to offer a standard built-in Conductivity Strip. FROM DESKTOP TO WORKSHOP AIRnet Planner 24/7 is a unique software tool to design and quote an AIRnet installation. It provides a detailed network structure and calculates the pressure drop. AIRnet planner 24/7 creates the bill of material, lists the exact number of pipes and fittings needed and calculates the assembly time. AIRnet consists of aluminum and polymers, highly durable materials suitable for compressed air as well as for vacuum and nitrogen gas. AIRnet is resistant to corrosion, mechanical shocks, thermal variations and outdoor weather conditions. AIRnet offers consistently clean quality air, protecting the downstream manufacturing process and contributing to equipment longevity. The AIRnet leak-resistant connections offer superior sealing. The low friction factor of aluminum and the seamless connections minimize pressure drop. Low pressure drop and a bigger inner diameter result in high efficiency. The pipes are easy to cut and the polymer or aluminum fittings ensure a perfect alignment instantly. AIRnet does not require painting. In compliance with industrial standards, AIRnet pipes are standard painted for simple network identification. AIRnet is adaptable to any existing pipe work. Future extensions can simply be plugged in. The AIRnet system can be pressurized immediately after assembly, limiting downtime to an absolute minimum. A gentle push of the pipe into the fittings is all it takes. The connection is made within seconds!